This wonderful wintery selection is a great way to enhance your greetings, invitations, and announcements this holiday season! 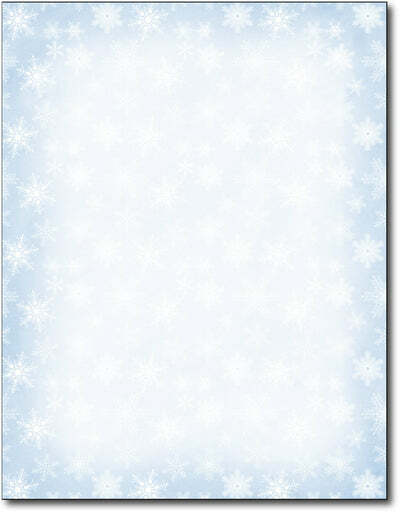 Each sheet is designed with stunning falling snowflakes. The sheets in which these designs are placed are made from a heavier 70lb Text paper, and measure 8 1/2" X 11". This makes them perfect for both laser and inkjet printers, as well as copiers of all kinds.